This looks very weird. A very short teaser trailer has debuted online for a film titled Journey to China, for short, though it goes by many names. This film is actually Viy 2, a sequel to Viy (from 2014), also known as Forbidden Empire - a fantasy adventure movie set in a cursed Romanian forest. 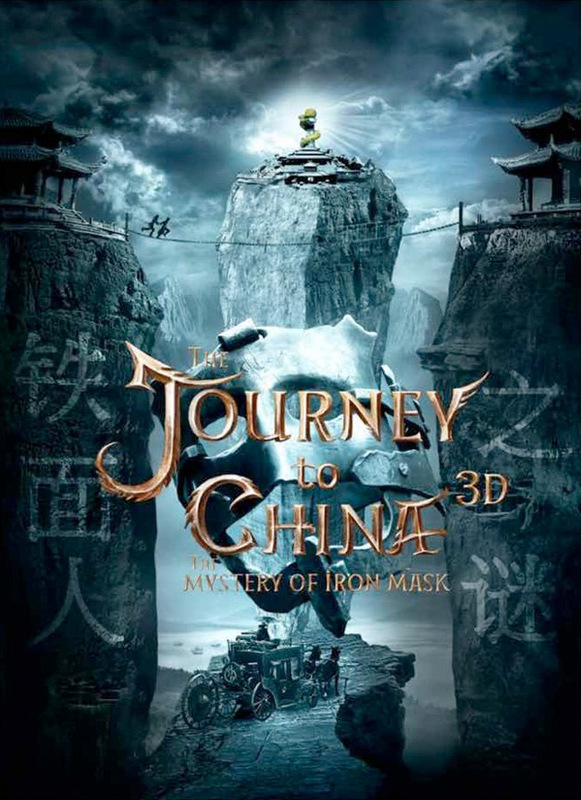 This sequel goes by other titles including: Journey to China: The Mystery of Iron Mask, The Mystery of Dragon Seal: The Journey to China, or just simply Viy-2. The plot involves English traveler/cartographer Jonathan Green journeying to China and falling into a fantastical adventure. The film's peculiar cast features Arnold Schwarzenegger, Jackie Chan, Rutger Hauer, Charles Dance, Jason Flemyng, Yuri Kolokolnikov. Schwarzenegger is playing James Hook, but I don't even know what's going on. Maybe the full-length trailer will reveal more. The English traveler Jonathan Green receives from Peter the Great an order to map the Russian Far East. Once again he sets out for a long journey full of incredible adventures that will eventually lead him to China. The cartographer will unexpectedly face a lot of breathtaking discoveries, encounter bizarre creatures, meet with Chinese princesses, and confront deadly martial arts masters and even the king of all dragons - the Dragon King. What could be more dangerous than meeting eye to eye with Viy, except doing it again? What would be stronger this time - a staunch skepticism of the scientist or the old black magic that has seized power of Eastern lands? Viy 2: Journey to China is directed by Russian filmmaker Oleg Stepchenko, of the first Viy film (aka Forbidden Empire), Law of Corruption, and Jacked$ previously. The screenplay is written by Oleg Stepchenko and Alexey Petrukhin. Journey to China will open in theaters sometime in 2018, but has no specific release date set yet. Stay tuned for updates. Your first impression?